As well as creating the world of Wonderland, Lewis Carroll is also famous for his nonsense poems. We’ve put together a selection of our favourite Lewis Carroll poems from his classic children’s books. Although Lewis Carroll is best known for his classic children’s books and creating the wonderful world of Wonderland, he also wrote nonsense poetry. Here is our edit of our favourite Lewis Carroll poems from Alice’s Adventures in Wonderland and Through the Looking Glass. and he’s treading on my tail. will you join the dance? 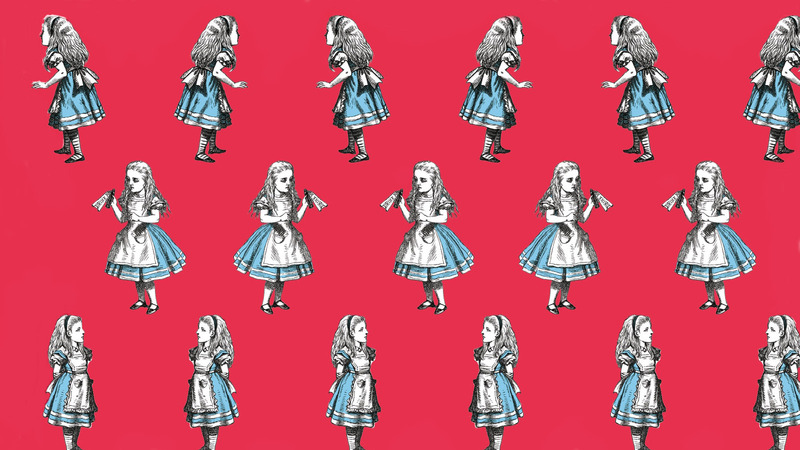 These gorgeous editions of Lewis Carroll's Alice's Adventures in Wonderland and Through the Looking-Glass come in a slipcase, the perfect gift for Alice fans. Both editions feature the original line illustrations by John Tenniel, specially commissioned forewords by Hilary McKay and Philip Ardagh, ribbon markers and colour plates.